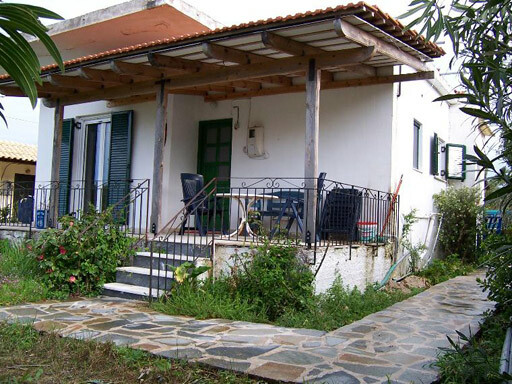 The villa Nico is on it's own,charming house for 4 up to 6 persons. 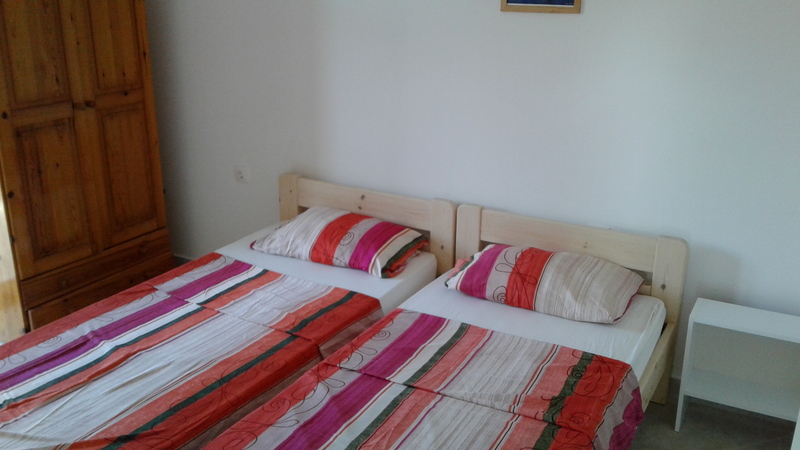 By 4 persons you have your own dinning-room available- if there are 6 persons,it will be converted into a bedroom. 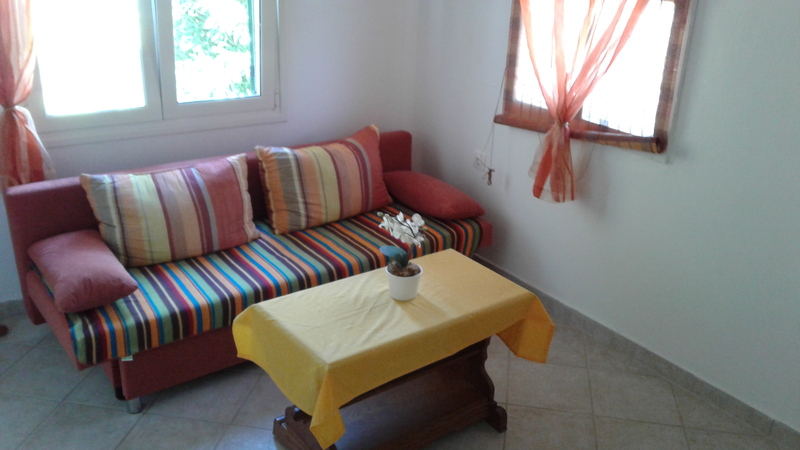 in extension there is the Appartement Georgios, that's why this house is also great for familys in a friendly manner. 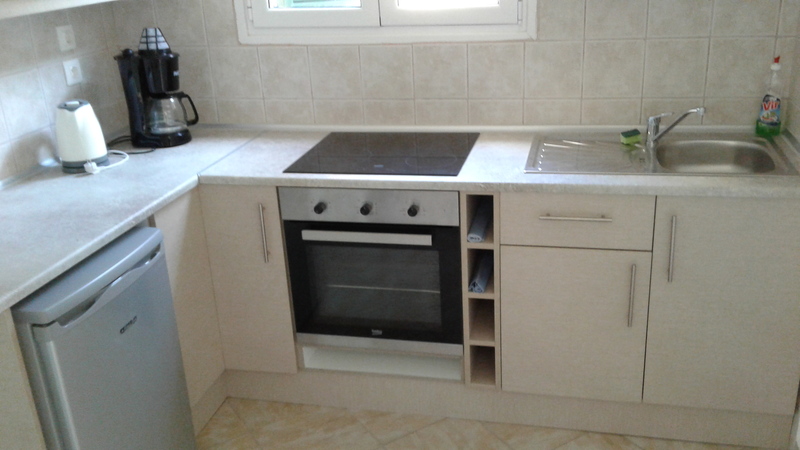 This little bit older house is new renovated and you will find there parquet-floors and new tiles. 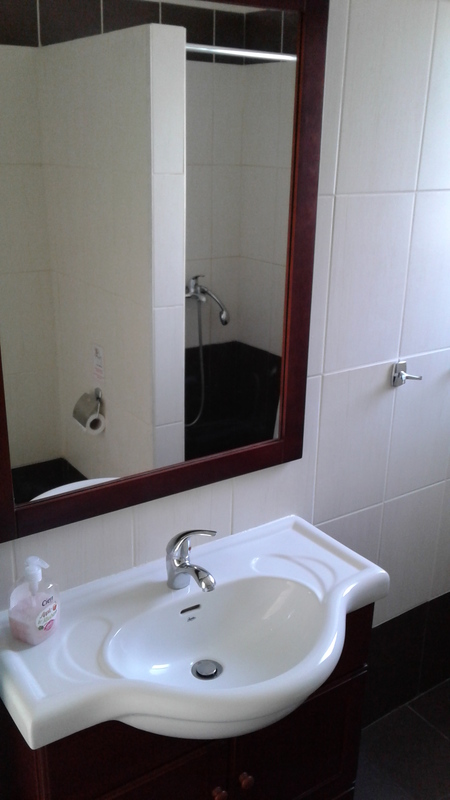 Also the kitchen and the bathroom(with Bathtube) are perfectly equipped..
You have the opportunity to get from every bedroom to the verandas, so that you can enjoy your breakfast under the shadowed roof. The small, but old-growing garden with a fig tree and orleander bushes invites you to relax and you can dream on the garden furnitures in the shadow.